KSRealityBites: Heart failure linked to loss of cerebral grey matter! Heart failure linked to loss of cerebral grey matter! SYDNEY: A latest study reveals that heart failure may also linked to loss of cerebral grey matter & impaired cognitive functions which involves all aspects of perception, thinking, reasoning & remembering. A cross-sectional study of 155 adults consisting of 64 controls who had no heart disease, 35 with heart failure & 56 with ischaemic heart disease was used to show evidence of cognitive impairment & cerebral grey matter (GM) loss. Osvaldo Almeida, professor of geriatric psychiatry at the University of Western Australia, said magnetic resonance imaging (MRI) allowed the examination of the impact of both heart failure & ischaemic heart disease (reduced blood supply) on cerebral grey matter, this was reported by European Heart Journal. A University statement quoted Almeida as saying that MRI was used to assess differences in the volume of GM in different parts of the brain. "It showed that people with heart failure display more widespread & extensive brain changes than adults with ischaemic heart disease." Prof. Almeida said "It could be possible that patients with heart failure have trouble following complex management strategies, & therefore, treatment messages should be simple & clear." According to Almeida, "The findings show that heart failure could also affect emotions & mental activity. 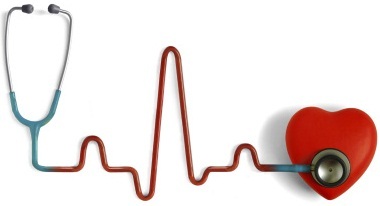 Health professionals & patients need to be aware that problems caused by heart disease aren't limited to the heart." The paper states that depression & cognitive impairment are the most frequent mental health problems among people with heart failure.